Farmers markets and grocery stores are starting to display a wider variety of apples for sale. 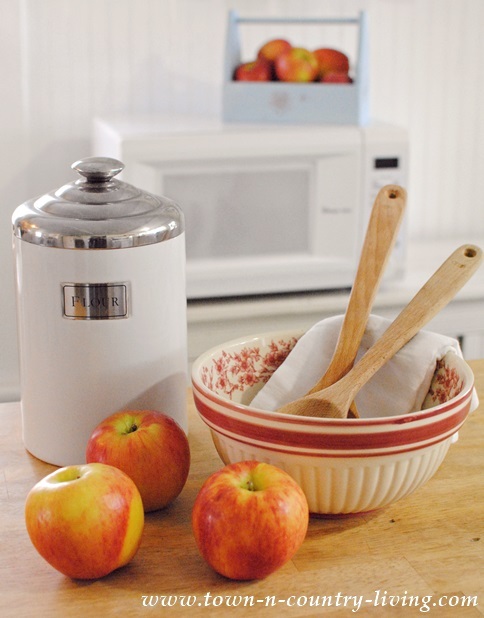 Apples are so versatile and easy to cook with – they’re truly a fruit staple for any kitchen. 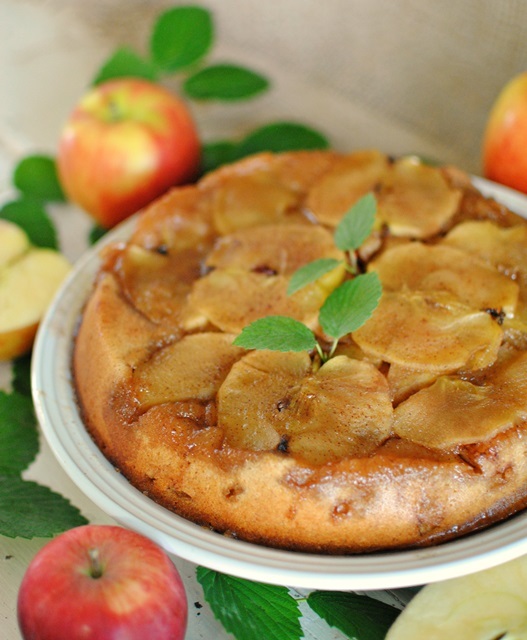 To celebrate this all-American fruit, I’m sharing a recipe for Apple Upside Down Cake. 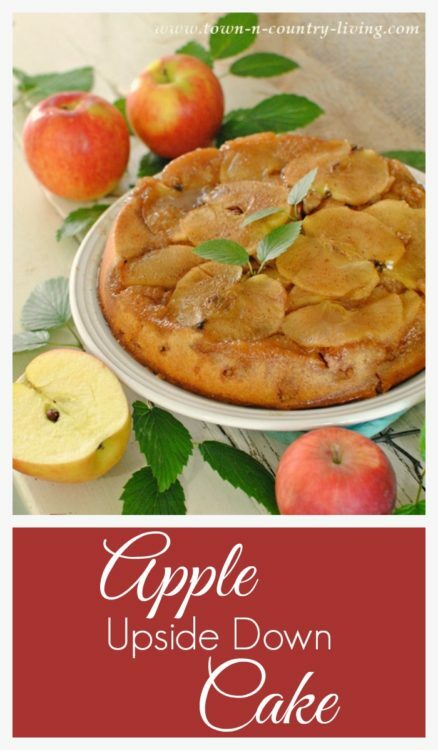 I used Jazzy apples for this recipe, but you can use any apple that’s good for baking – such as Honeycrisp, Jonagold, Braeburn, Gala, Granny Smith, etc. This made-from-scratch recipe is fairly easy, which is always a plus. We have several U-Pick apple orchards nearby, so fresh apples are plentiful. I almost hate to buy the waxed apples in grocery stores anymore. The cake batter in this recipe is fairly thick, so spread carefully after layering your apples in the bottom of the pan. Your cake pan will be filled to the brim, but no worries. The thick cake batter doesn’t rise much. The juice might overflow a little when baking so line your oven bottom with tin foil to catch any drips. You can see how the juices have oozed their way through the cake, making it super moist. Most of the apples are cut in thin wedges, but I used a few whole slices for aesthetic appeal on the top of the cake. They make such a pretty presentation – even with some of the seeds left in for authenticity. You can create any manner of patterns with your apples when you lay them in the pan. 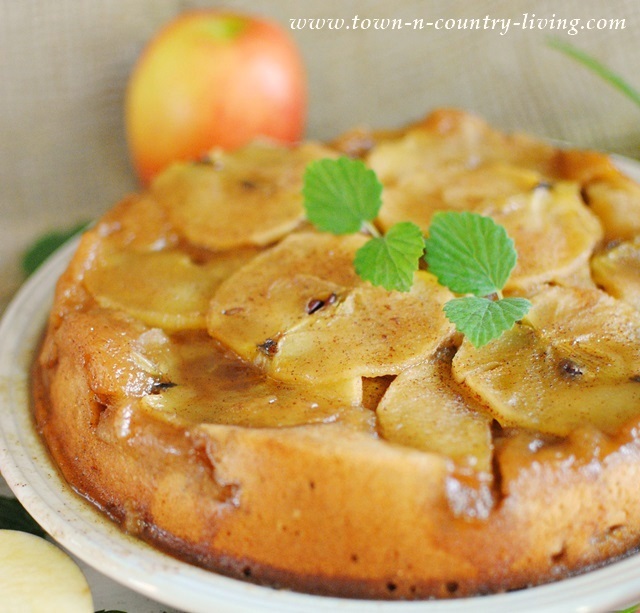 Apple Upside Down Cake is yummy both warm and at room temperature. When warmed, serve with a dab of whipped cream or a small scoop of ice cream for a special treat. Heat oven to 325°. 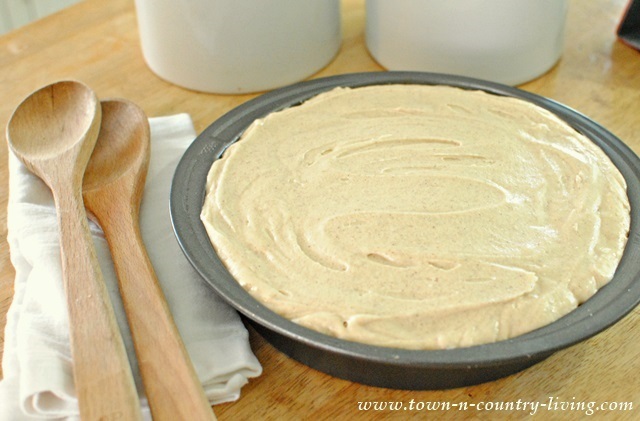 Grease 9-inch round cake pan with butter or baking spray. Peel and core the apples and cut into thin wedges. 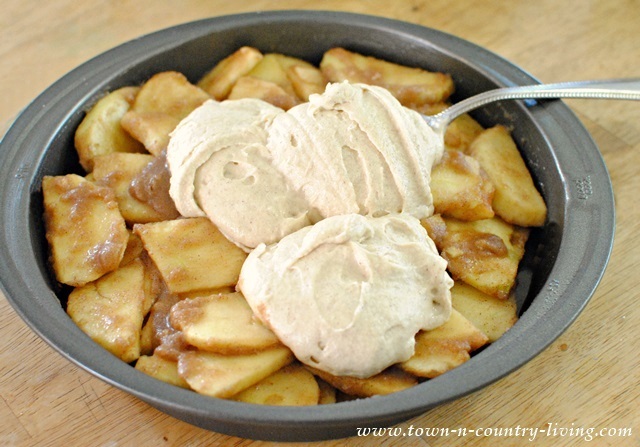 Combine apple slices with brown sugar, 1 teaspoon cinnamon, and 4 tablespoons melted butter. 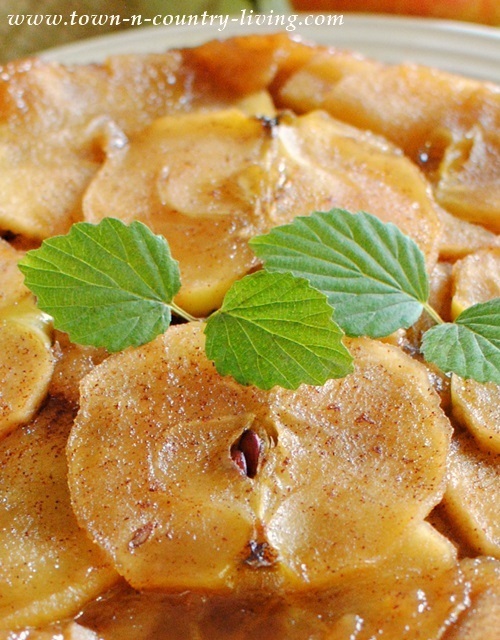 Arrange the apple slices in prepared baking pan. Combine the flour, salt, baking powder, and 1 teaspoon cinnamon in a bowl. In a large mixing bowl, beat butter with the sugar until light and fluffy with electric mixer. Beat in eggs and vanilla extract. Add the flour mixture to the butter/sugar mixture, alternating with the milk abd beating just until blended. Carefully spoon batter evenly over the apple slices (batter will be thick); gently spreading to cover. Bake for 55 minutes, or until a toothpick inserted in the center of the cake comes out clean. Immediately invert the hot cake onto cake plate and let stand for about 5 minutes. Remove the pan and serve warm or let cool to room temperature. This looks absolutely delicious! I love how you sliced some of the apples crosswise, this looks so pretty. I live in an apple growing area and am sure to try this! This looks divine Jennifer! Already Pinned. Yummy! Looks delicious! I can’t wait to try it. I’ll definitely try this one…this weekend! jazzy apples? not heard of those either but they sure do look good in that upside down apple cake. This looks AMAZING! Fun touring with you this time, Jennifer! I’m pinning this one!! Are you kidding me? This looks delicious and it is so super easy too! So many delicious recipes on this tour! But yet another one I can’t wait to try! Oh, I can’t wait to make this – it is sure to be a hit at my house! Pinning! I often make almost the same apple cake. The only difference is I also use walnuts in the cake batter. And when I have more time, of course, I make the apples in star shapes. It looks even more attractive 🙂 My niece really loves the apples that way. Actually, this is the only way she prefers them to chocolate. Oh yum! Almost too pretty to eat! Fun being on tour with you… PINNED! This looks delicious! Can’t wait to make it for the family! Love apples, and this looks yummy, thanks . This looks so delicious. 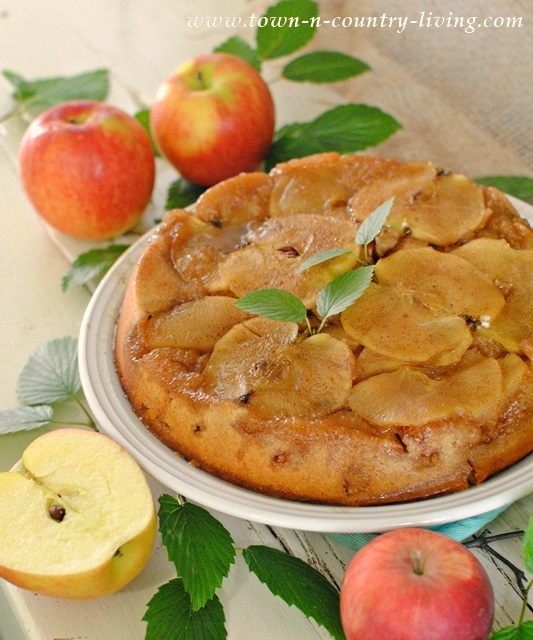 I haven’t made apple upside down cake in years but will be making this recipe very soon. I made your apple cake last night for my family and it was a hit. Very moist and fluffy. Thanks so much!!!!! 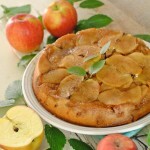 Jennifer, I made this apple cake many years ago. It was soooo good. I believe I put mine in a pie plate. But as luck would have it I lost The Gold Medal Cookbook. Thanks for bringing that yummy smell back to my kitchen .